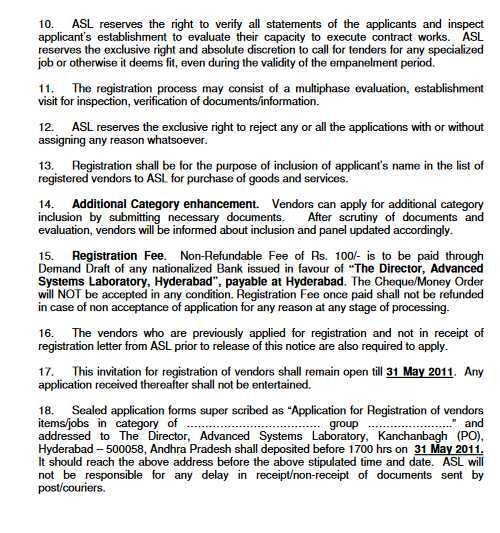 Hi buddy can you here tell me fee info for Vendor Registration With DRDO along with instruction info for DRDO Vendor Registration?? DRDO (Defence Research and Development Organisation) is an agency of the Republic of India, charged with the military's research and development, headquartered in New Delhi, India. 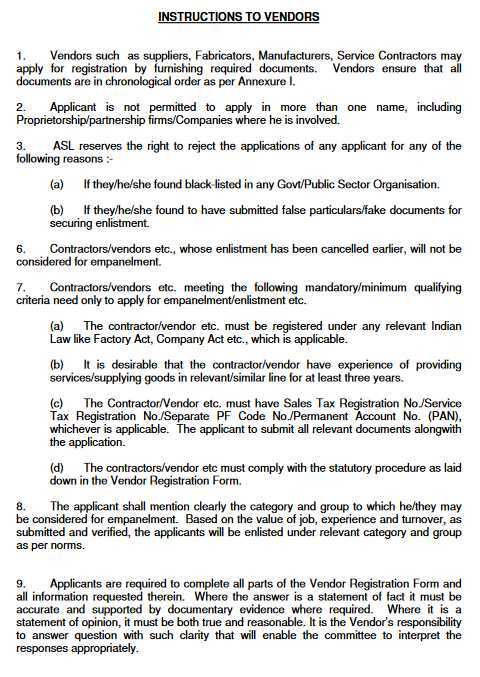 As you asking for fee info for Vendor Registration With DRDO so as per source Registration Fee of Rs. 100/- is to be paid through Demand Draft of any nationalized Bank issued in favour of â€œThe Director, Advanced Systems Laboratory, Hyderabadâ€�, payable at Hyderabad. The Cheque/Money Order will NOT be accepted in any condition.Registration Fee once paid shall not be refunded in case of non acceptance of application for any reason at any stage of processing. 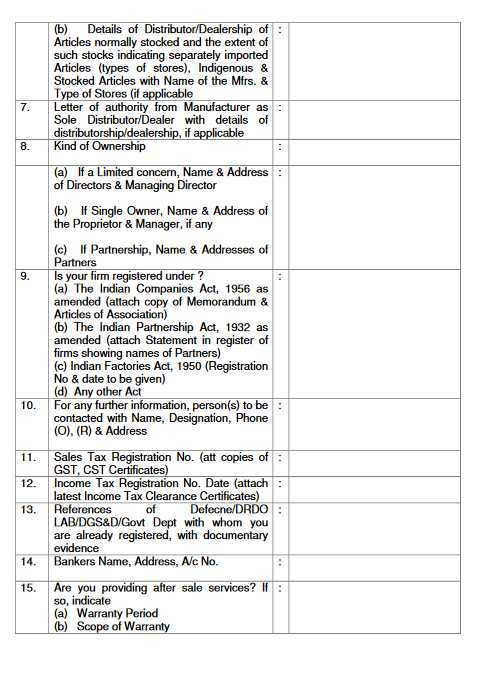 Hi buddy can you here tell me information for 'Contractor Registration' With DRDO along with instruction info for DRDO Vendor Registration as Civil contractor for Civil-IV class (Unlimited) in 2018 enlistment. kindly reply as early as possible. 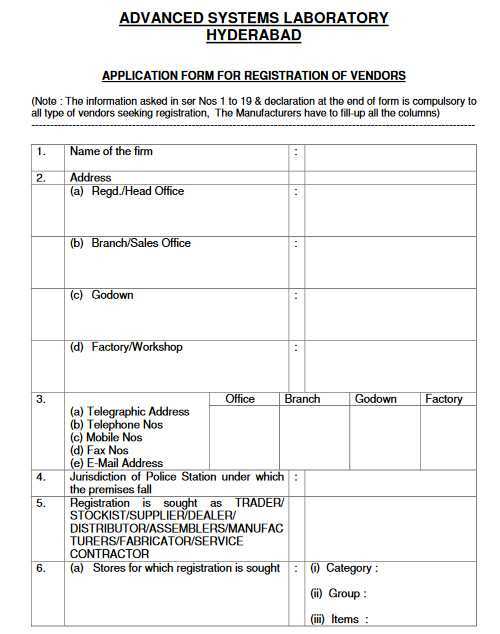 Can you provide a vendor register form. We are a gas company and we are intrested in e -procurement.